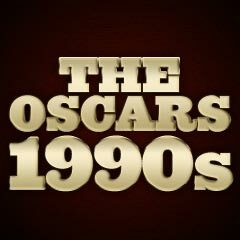 The five films nominated for Best Picture for 1991 were a very distinctive mix of different types of films: a musical animation, a horror/thriller, a gangster bio, a political conspiracy thriller, and a romantic melodrama. The top-notch film, a shocking psychological horror picture about a cannibalistic killer and his strange relationship with a newbie FBI agent, was based on Thomas Harris's 1988 best-selling novel of the same name. It was a sequel to an earlier film Manhunter (1986) (aka Red Dragon: The Pursuit of Hannibal Lecter), also based on a Thomas Harris novel titled Red Dragon published in 1981. The two nominations without wins were for Best Sound and Best Film Editing. 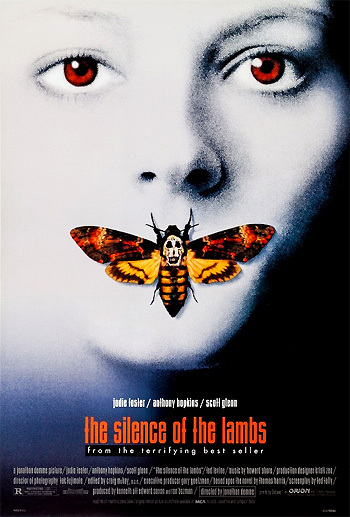 Jonathan Demme (with his first directorial nomination) won the Best Director award for The Silence of the Lambs, a film with uncharacteristic subject matter that was not usually the recipient of so many Oscar awards. Their two directors' places were taken by Ridley Scott (with his first directorial nomination) for his stridently feminist buddy/road film Thelma & Louise (with six nominations and one win - Callie Khouri's Best Original Screenplay), and 24 year-old black director/writer John Singleton (with his directorial debut) for his tragic film about South Central Los Angeles gang violence in the ghetto drama Boyz N the Hood (with two nominations and no wins). The Best Supporting Actor Oscar was a surprise win for seventy-two year-old Jack Palance (with his third nomination and first Oscar - it was thirty-nine years since his last nomination for Sudden Fear (1952)), for his role as trail boss Curly in director Ron Underwood's adventure/comedy City Slickers (the film's sole nomination and win). This was the award for which Palance performed one-arm pushups. Mercedes Ruehl (with her first nomination) won the Best Supporting Actress award for her performance as video store owner Anne Napolitano and girlfriend of burned-out radio talk-show host (Jeff Bridges) in The Fisher King - it was the film's sole Oscar win. It should be noted that Terminator 2: Judgment Day with Arnold Schwarzenegger won four technical Oscars (out of its six nominations): Best Makeup, Best Sound, Best Sound Effects Editing, and Best Visual Effects. Ray Harryhausen, the special-effects genius of notable films during the 50s-80s, including It Came From Beneath The Sea (1955), Jason and the Argonauts (1963), One Million Years, BC (1966), The 7th Voyage of Sinbad (1958), and Clash of the Titans (1981) -- but who never received even a single Oscar nomination -- was awarded the Gordon E. Sawyer honorary Academy Award this year. Ridley Scott's Thelma & Louise should have been nominated for Best Picture. Coming before Jane Campion's The Piano (1993) was the New Zealand director's second feature film in this year - the un-nominated, autobiographical An Angel at My Table with Kerry Fox as novelist/poet Janet Frame. Director/writer/actor Albert Brooks' existential fantasy comedy about heaven, Defending Your Life lacked nominations, and recognition for Brooks as recently-deceased Daniel Miller on trial in the afterlife, for Meryl Streep as his love interest Julia, for Rip Torn as Daniel's reassuring defense attorney Bob Diamond, and for Lee Grant as prosecutor Lena Foster. As mentioned earlier, there was no Best Picture nod for John Singleton's Boyz N the Hood, and Laurence Fishburne was denied a nomination for his role as strict, tough-love South LA father Jason "Furious" Styles. And director Terry Gilliam's fantasy/comedy The Fisher King with five nominations came away with only one Oscar win - Best Supporting Actress (Mercedes Ruehl). Losing nominees included Robin Williams (Best Actor), Best Original Screenplay (Richard LaGravenese), Best Original Music Score, and Best Art Direction-Set Decoration.